The İstanbul 5th Commercial Court of First Instance has ruled for the continuation of a ban imposed on online hotel booking platform booking.com, the Birgün daily reported. The decision came after the Turkish Association of Travel Agents (TÜRSAB) filed a complaint against the Dutch-based Booking.com website claiming that the website is engaged in unfair competition against Turkish-based hotel and flight booking platforms. 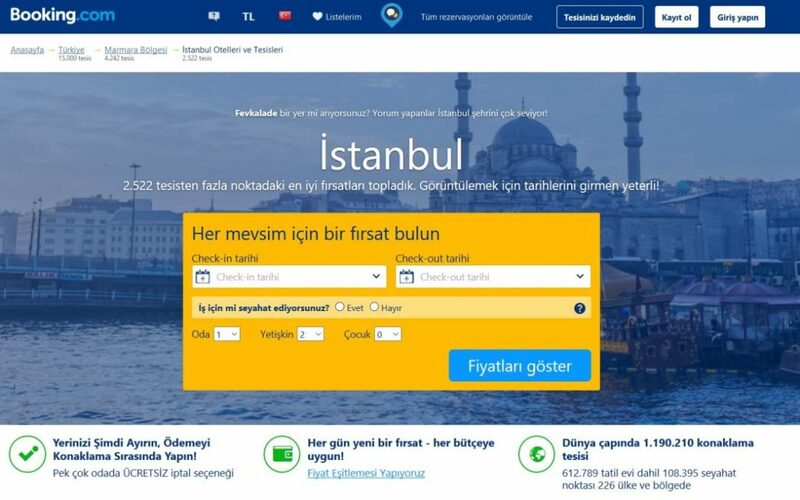 According to the decision, Booking.com will not be able conduct commercial activities via its website Booking.com, and the Information Technologies and Communications Authority (BTK) is to be ordered to ban access to the website in Turkey. Earlier, Turkey’s Competition Authority fined Booking.com TL 2,543,992.85 over TÜRSAB’s complaint.